12 Years A Slave is an amazing film. Well-acted, well-directed, well-written, it is a testament to the craft of film-making and worthy of the Academy Award for Best Picture. More than that, 12 Years A Slave is an important film. The true story of Solomon Northup – a free man who was kidnapped and forced into slavery over a hundred years ago – forces all of us to see the reality of American slavery stripped of the usual Hollywood tropes of happy slaves singing in the field (see Gone with the Wind) or the white savior (see Amistad, Lincoln). This film has started a discussion – a discussion that for far too long we as a society have avoided. This film has started a discussion about the brutality of the slave system and the repercussions of that system that we still feel to this day – in part because that system still exists in many parts of the world. I am not an academic. I am not an expert. However, slavery is a part of my own story and it is a story I feel that I should share in an effort to continue the discussion that 12 Years A Slave began. Using the 1850 and 1860 United States Federal Census Slave Schedules, I have pieced together which of my relatives owned slaves and how many. This is what I found. Peyton Randolph Jennings was my great-great-great-great-great-grandfather. He was born in Kentucky in 1793 and lived there until his death in 1863. The 1850 Slave Schedule reports he owned a single slave – an 11-year-old “mulatto” girl. Ten years later, the 1860 Slave Schedule reports he now owned a 22-year-old “mulatto” woman, who I can only assume was the same person. None of his sons were ever recorded as owning slaves, so I have no idea what happened to this woman upon his death in 1863. The Emancipation Proclamation had been signed but did not apply to slave states not in rebellion, including Kentucky. 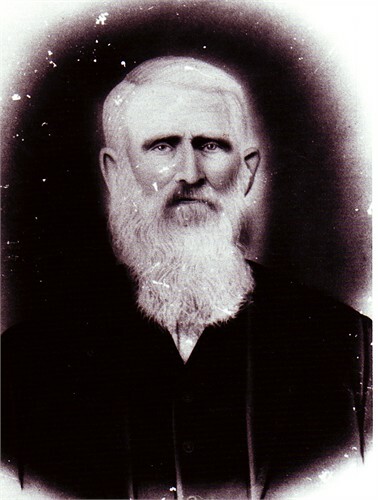 This is my great-great-great grandfather Henry Babb Walters. He was born in Tennessee in 1826 and died there in 1892. The 1850 Slave Schedule shows that he owned a 12-year-old female slave. The histories I've read report that more whites owned a single slave than any other number and my own family history seems to reflect that. Although many often owned a male slave to help with farm work, female slaves were also chosen to help with housework. The female slave owned by Henry Babb Walters does not appear on the 1860 Slave Schedule, nor do any other slaves under his name. My great-great-great-great grandfather George Washington Hocker owned two female slaves, according to the 1850 Slave Schedule. One woman was thirty-five years old. The other was twenty years old. Since George Washington Hocker lived until 1895, I have no idea what happened to these two woman as there is no record of them in the 1860 Slave Schedule. My great-great-great-great grandfather Jesse Lunsford Tapp owned the most slaves of any of my ancestors, at least according to any evidence I could find among the slave schedules. According to the 1860 Slave Schedule, he owned seven slaves – a 63-year-old man, a 60-year-old woman, a 33-year-old man, a 30-year-old woman, a 16-year-old girl, and two young boys ages 8 and 2. I have no idea if these people were a family or what happened to them after the war. All I know is that Jesse Tapp lived until 1899 in Hopkins County, Kentucky, where he raised 12 children, including the mother of my great-great-grandmother Dessie Tapp. What I do know is that slavery touches every branch of my family tree but has never been discussed with me. I grew up with a profound sense of family history. When I was born, three of my great-great grandparents were still alive and I had close relationships with six of my great-grandparents. Many of them had to know of our family's involvement with slavery but due to their own antiquated views on race I'm sure it was nothing they felt required to address. I stated on Facebook recently that watching a fake version of the horrific events of Solomon Northup's life was the least I could do, but it isn't. I can do more. I can share the specific details of my own family's history in an effort to make that history real. Knowing the abstract outlines of our country's history with slavery is not enough, especially when that narrative has been gussied up and dumbed down over time. Reading a history book cannot compare to knowing that a member of your own family owned a two-year-old child. If the past were “the past” then I would not feel as obligated to share my family's story. However, the truth is I benefit to this day from wealth and resources built upon not only the institution of slavery, but the racist attitudes it perpetuated that still exist. My family had access to land and education and to societal advancement that was off limits to many because of the color of their skin or – worse – was built upon the labor of those enslaved due to the color of their skin. It is not an easy reality to acknowledge, although I would never compare it to the pain of those whose own family members were enslaved. The history of my family is a painful part of my own story and the knowledge that slavery is the story for millions of people across the world is unbearable. It is a complicated and difficult subject about which to talk. However, we have to talk about it. We have to talk about what we can do about it. We should all see 12 Years A Slave but that cannot be all we do. Are college campuses becoming increasingly intolerant? Is Matt Bevin the end of the world?